Herbein’s Garden Center began in 1974 at a location across the street from its current location. Through growth and prosperity it moved to the current location in 1984. 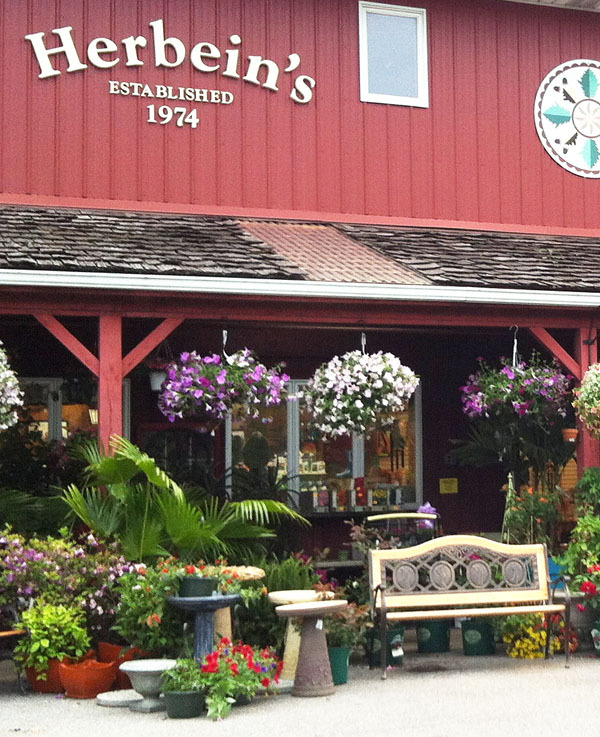 In 2006, Thomas F. Bull purchased the business from the former owner and strives to place Herbein’s Garden Center as the Premier Garden Center in the Lehigh Valley. Tom is a 1986 Souderton, PA High School Graduate. He enlisted in the Army at the age of 17 and was enlisted through 1991 Driving a Bradley Fighting Vehicle in both the Cold War and Desert Storm. From 1991-1997, he honed his craft while working at County Line Nursery, and then came to work at Herbein’s in 1997. From 1997-2006, Tom fell in love with the Garden Center, and when he had the opportunity he bought it. In 2006, Thomas became the sole proprietor of Herbein’s Garden Center in Emmaus, PA.
Tom has a Degree from Temple University, Class of 1992 in Horticulture and a graduate of Garden Center University in 2012. He has an unyielding passion for Gardens inspired by his Grandmother Louise Birle. If you have ever been to Herbein’s chances are you’ve met the star of the show his seven year old daughter Naomi! Naomi knows Gardens! Thomas has really put an emphasis on customer service, strengthening community partnerships, philanthropy, and being the GREEN EXPERT in the Lehigh Valley! Check our Web Site regularly for Monthly Garden Tips, Promotions and EVENTS!